As the average house price prices in areas outside the three major cities in New Zealand hit a record high of $500,000, it appears sellers in Auckland have little to celebrate. The serious slump in Auckland Property Prices, the market has been stealing headlines, despite its median value being over $700,000. And this has forced them to adopt the proverbial “wait-and-see” tactic. According to the Head of Trade Me Property Nigel Jeffries, virtually all areas in the country have experienced excellent growth over the previous 12 months, and the record high isn’t a shocker. Another property guru, Peter Thompson of Barfoot & Thompson seem to agree with the massive growth given that his agency has managed to achieve a record 1,000 sale in March. But it isn’t all rosy, or so it seems. The Auckland house prices dip seemingly has affected a substantial portion of our property market, particularly the area in Auckland, according to Mr Jeffries. In fact, of all the record prices in the country, Auckland’s paltry 0.7% slip seem to grab headlines, unlike Hawke’s Bay’s massive 15% annual increase to hit $519,950. But it is taking longer to sell — units are the most preferred! Despite the remarkable growth in the real estate industry, it seems Auckland home sellers are taking a little bit longer than it has always been in the past nine years. It now requires up to 49 days to sell off a house, unlike 43 days a years ago. And this is the longest it takes in Auckland in nine years! Throughout Auckland, the demand for property is way below the massive peak achieved in February 2016. Following February statistics from the Real Estate Institute, the 7% average rise in the median house price in the country to $530,000 and Auckland’s 3.7% to $858,000 is squarely to blame. As Jeffries says, units in Auckland are the go-to choices with a 2.9% record asking price of $635,650. 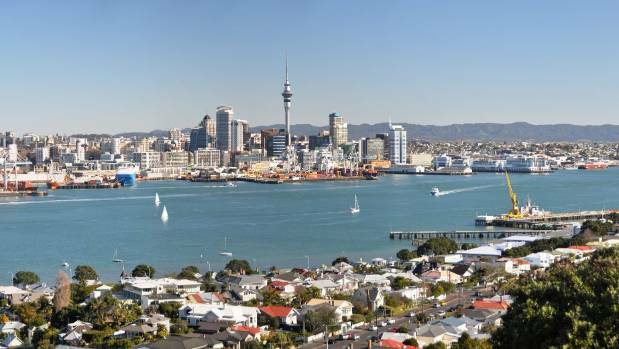 Auckland property prices to stay flat for a while. As the head of Trade Me Property acknowledges, the stalling Auckland Property Prices is bucking the nationwide trend, even when it ranges from $912,500. And buyers understandably are the happy lot, seeing the slump go on for the second consecutive month. Auckland’s premier private house buyers company Property Buyers Auckland are still actively investing in the Auckland Property Market. Company director Hadar Okribi is positive about Auckland housing market and its long term prospect. Orkibi believes that Auckland house prices could stay flat in the short term, but have a solid long term growth prospect. The 4% price increase is an ideal time for first-time home buyers to give it a shot. Meanwhile, whether and when this will change is a question yet to be answered.